Description: Hartford, Connecticut, Wadsworth Atheneum Museum of Art. 2000, First Edition. (ISBN: 0300081774) Hard Cover, 11.25 x 9.75 inches. No marks or inscriptions. A lovely clean very tight copy with bright unmarked boards and no bumping to corners. Dust jacket not price clipped or marked or torn with a little indenting and surface rubbing from storage. 195pp. 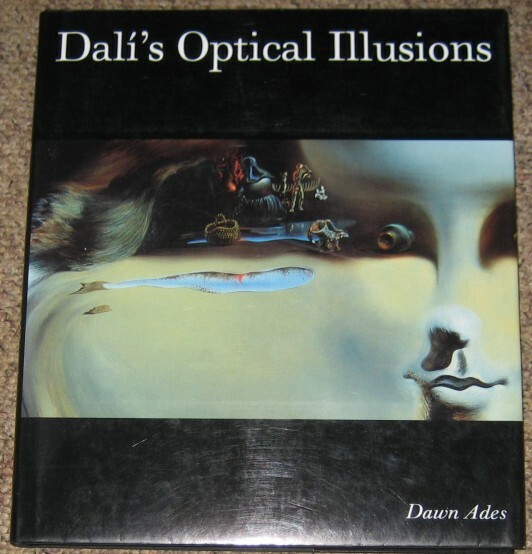 The book examines Dali's use of various pictorial techniques, photography, and holograms to further his exploration of visual perception and the ways that optical illusion affects our sense of reality. Includes discussion between the editor and a number of other authorities in the field. Very well illustrated. The book is also the catalogue for an exhibition in 2000 in Edinburgh and a number of American galleries. Fine/Very Good (+).